The proposed use of hydraulic fracturing technology, also called hydro-fracturing or, more commonly, hydrofracking, to drill for natural gas in New York State remains highly controversial. Industry and some upstate landowners continue to press to be permitted to use hydrofracking, particularly to unlock the natural gas found in the Marcellus Shale, citing job creation and the need for new energy sources, while environmental groups and others urge caution, pointing to potential risks to New York’s water, air and natural resources. To assist the public in monitoring this difficult decision and how it is made, Common Cause/New York has continued and expanded its analysis of lobbying expenditures by those who seek to influence this critical decision. Today, Common Cause/NY released the results of that analysis in their report, Deep Drilling, Deep Pockets, Lobbying Expenditures of the Natural Gas Industry to Influence Public Policy, Part II, which provides a detailed analysis of the presence of a large money push to influence New York State’s public policy decision-making process in regards to natural gas extraction policies. The report’s analysis of lobbying disclosures shows that it is not only the natural gas industry that is seeking to influence the state’s policies regarding natural gas exploration. A powerful consortium of business groups has allied itself with the natural gas industry to oppose the moratorium on hydrofracking. That consortium, made up of energy companies, business and professional associations in addition to natural gas companies, spent a total of $2,869,907 lobbying last year, grossly outspending those that lobbied in support of the bills by $2,143,525 or four to one. Much of this was due to substantial amounts spent for advertising by Chesapeake Appalachia, the nation’s second largest producer of natural gas and the biggest spender among industry advocates of hydrofracking. In the first half of 2010, Chesapeake spent an astounding $836,386 on advertising to the public via billboard signage, television advertisements focused on the benefits of natural gas, and even a short film production. 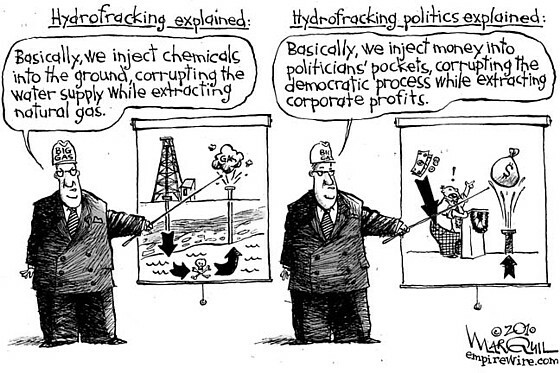 New York State’s policies on hydrofracking will have a profound impact on the future of our state. It is imperative that those policies are not unduly influenced by large infusions of natural gas industry dollars. The uneven balance in spending on lobbying and advertising by pro- and anti-moratorium groups reflects the massive resources at the disposal of natural gas interests and is indicative of the growing need for special interest money to be countered by the grassroots involvement of an informed public. 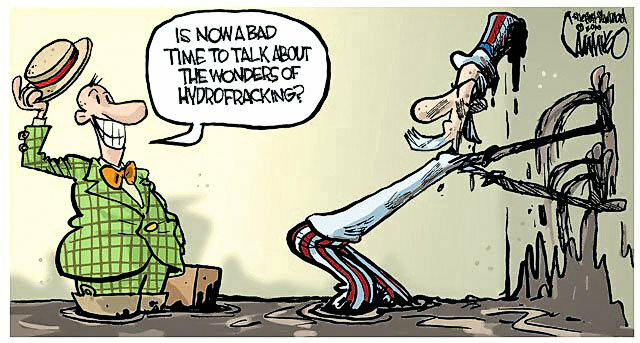 To prepare Deep Drilling, Deep Pockets, Lobbying Expenditures of the Natural Gas Industry to Influence Public Policy, Part II, Common Cause/NY accessed and obtained copies of the bi-monthly lobbying reports filed by the companies we had previously identified in our July, 2010 lobbying report. In that report, we analyzed the lobbyist expenditures of three natural gas companies from the year 2005 through the first half of 2010, as well as expenditures by five environmental groups. This report brings earlier data up to date with full year 2010 figures and expands our analysis to look more fully at lobbying expenditures spent lobbying in favor or opposition to two moratorium bills introduced last year. 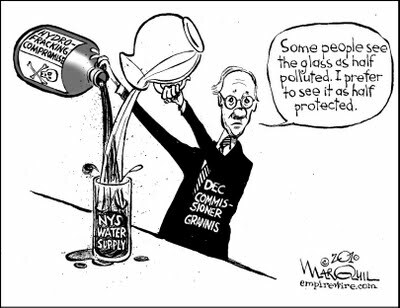 We examined the bi-monthly lobbying reports available for 2010 on the NY Commission for Public Integrity website in detail to compile the lobbying data for each company and entity identified as having lobbied on the moratorium bills introduced in the previous legislative session, S7592/ A10490 and S8129B/A1143B.